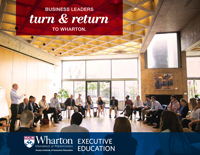 The Wharton|SAIF Advanced Finance Program — China offers executives a unique opportunity to experience an immersive learning experience that combines academic rigor and real-world business insight that will prepare them to lead their organizations. The world-renowned finance faculty at Wharton bring extensive industry experience and a diverse global perspective to the classroom. Participants in the program will gain a global perspective and analytical prowess that will advance their leadership skills and financial acumen. 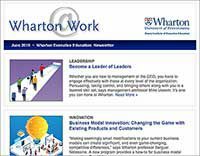 Upon completion of the Wharton|SAIF Advanced Finance Program — China, participants will be granted Wharton alumni status and gain access to resources that facilitate professional growth through lifelong learning opportunities.